This week's NYT bestseller: The President Is Missing. Bill Clinton’s debut novel spent over a month at the top of the New York Times bestseller list when it was released in the summer of 2018. Showtime has already optioned the book to turn into a series. Why? We had to find out. 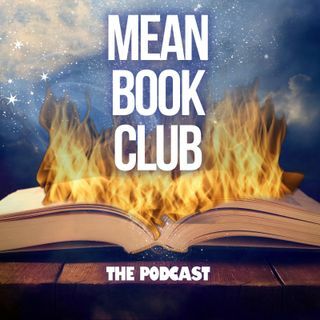 Mean Book Club is four ladies (from UCB-NY, HuffPost, College Humor, Impractical Jokers) who read, discuss and whine about NYT bestselling books that have questionable literary merit. It's fun. It's ... See More cathartic. It's perfect for your commute. New podcast every Tuesday!